While America’s attention has been focused elsewhere, China has been busy cultivating the African continent in a myriad of ways. Does this increased influence portend a shift in the international system? And if so, what does this mean for Western interests in Africa and internationally? Slavery; colonialism; Apartheid; Cold War manipulation; IMF Structural Adjustment; corruption of governments by Western corporations; and resource wars fought by white mercenaries: if independent African nations of the Twenty First Century choose to seek new relationships with non-Western allies, then we should not be puzzled by this development. Nevertheless, Western commentators watch with increasing concern as China’s growing political and economic influence makes it an attractive partner for African governments. With global issues now at the top of the agenda in interactions between the United States and China (Johnson 2009), the relationships crystallising between China and Africa have for some time been overlooked by the media and policymakers. Mainstream pundits who have discovered these developments often propagate a moral panic regarding China’s nefarious intent, and issue warnings of existential threat to Western interests, as ‘access to important raw materials and energy sources … [is] “locked up” by Chinese firms’ (Brookes & Shin 2006). Headlines such as, ‘Why China is trying to colonise Africa’ (Blair 2007), ‘How China’s taking over Africa, and why the West should be VERY worried’ (Malone 2008), and ‘China Tightens Grip on Africa’ (2009), have appeared in conservative-leaning publications, and frame the debate as a Manichean struggle between the munificent West and an exploitative Chinese bogeyman. 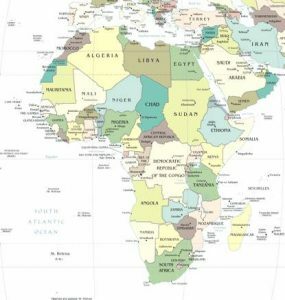 I will argue that while Western hegemony in Africa is certainly being seriously challenged, necessarily conflating this with a negative result for Africa is based on an erroneously idealistic view of Western interaction with the continent. While critics attribute China’s diplomatic success to it being ‘the ally of choice for Africa’s worst rulers’ (Blair 2007), in fact part of China’s attraction is ‘more than 50 years of friendly, respectful, and supportive relations [with] African countries’ (Gill & Reilly 2007). Recent criticism of Chinese activities in Africa is often accurate, and is important in helping constrain destructive behaviours, but China’s conduct isnot worse than the West’s historical and ongoing relationship with the continent, and will potentially be much more productive. China’s changing relationship with Africa is also part of a wider structural shift in the international system, which will create new centres of power and wealth over the coming decades, and may increasingly fracture the cohesiveness of ‘Western’ interests. For the United States and its traditional allies to remain globally influential in the coming century, they must comprehend some of the lessons offered by Africa’s changing disposition. Commentators’ judgements of China often begin with assumptions that the West has unceasingly promoted democratic values and economic development in Africa, even if this has been overwhelmed by local obstacles. However, those familiar with African history are aware of the flaws in this narrative. Africa’s first 35 years of independence were in the context of the Cold War. Even once decolonisation had commenced, America and its European allies opposed independence through NATO assistance for France and Portugal to fight colonial wars — in the latter case until the 1970s (Ohaegbulam 1992, p. 21); and orchestrated the downfall of independence leaders like the Congo’s Patrice Lumumba (De Witte 2002). For Western governments the containment of communism justified channelling billions of dollars in development aid to repressive regimes, and welcoming their brutal treatment of internal left-wing opposition (Harsch 1993, p. 7). From racist white regimes in South Africa and Rhodesia; to despotic African rulers, like Mobutu Sese Seko of Zaire, Hastings Banda of Malawi, and Omar Bongo of Gabon; and fratricidal guerrilla groups like UNITA in Angola, and RENAMO in Mozambique; seeing the West as facilitating democracy in Cold War Africa necessitates historical amnesia. By the 1980s the imposition of structural adjustment as part of aid and debt rescheduling packages was common, and despite the rhetoric of international financial agencies it had the widespread and painful impact of depressing people’s incomes, living standards, health conditions and overall social circumstances. Prices for many basic consumer staples rose, unemployment levels increased, and governments cut spending, usually hitting vital social sectors like education and health the hardest (Harsch 1993, p. 15). Ironically, in cases where this induced political liberalisation, the demands of the pro-democracy movements, ‘reflect, to a significant extent, a popular reaction against the socially painful effects of structural adjustment’ (Harsch 1993, p. 12). Subsequently, while the 1990s created an opportunity to divert resources from the global arms race to tackling Africa’s challenges, it is instead now seen as a period in which the United States disengaged from African Affairs, apart from occasional humanitarian disasters that could not be ignored (Kraxberger 2005, p. 48). The World Bank and the IMF were now empowered to alter African societies by linking aid to democratic reform (Goldsmith 2001, p. 413); though key critics like World Bank economist Joseph Stiglitz have said that by reducing developing governments’ economic autonomy, policy conditionalities actually undermine democratic processes even further (Goldsmith 2001, p 417). The worst African crisis of the 1990s was the Rwandan Genocide, in which 800,000 Rwandans were killed, by a government financially and politically supported by France, and aided by a military armed, trained and advised by France, with minimal intervention by France or other Western governments (Kroslak 2008, pp. 1-5). Following the 9/11 attacks there was renewed American interest in Africa, though this primarily involved a new militarisation of their Africa policy as part of the ‘war on terrorism’, with new strategic coordination under the umbrella of AFRICOM. Economic development and poverty alleviation has again been a lower priority, and a small number of US military allies have received a disproportionate share of recent aid (Van De Walle 2009, p. 13). Subsequent American intervention in nations like Somalia has been argued to have ‘worsened the conflict’ (Van De Walle 2009, p. 16). While the West has provided $2.3 trillion to Africa over the last five decades (for both humanitarian and military projects; to good leaders and bad) (Harman 2007), global structures of subsidies and tariffs have been maintained which force open African markets to Western goods, while disadvantaging African producers (Dowden 2005). In recent years America established the African Growth and Opportunity Act (AGOA) of 2000 to assist Africa, however, again governance reforms remained only a secondary objective, with one of the primary aid beneficiaries being authoritarian Angola (Van De Walle 2009, p. 13). Clearly then the West’s record in Africa is far from spotless. Chinese relations with Africa are not just a post-Cold War phenomenon. Fledgling communications began over 2000 years ago (Jinyuan 1984, pp. 241-247), though China more recently forged relationships with Africa from the 1950s. Throughout the Cold War China sponsored infrastructure and provided technical and financial assistance (Lyman 2005), while Chinese doctors treated 180 million African patients (Brookes & Shin 2006). China’s support had political aims: to counter Taiwanese diplomacy, compete with Soviet influence, and challenge Western power (Lyman 2005); but was also inseparable from a desire to support Africans, ‘in their struggle to win independence and safeguard their national sovereignty’ (Jinyuan 1984, p. 248). Overall, Chinese intervention Africa was minimal during this period, with Chinese support for Robert Mugabe in the 1970s being a rare political success — and a development welcomed even by Australian Prime Minister Malcolm Fraser. Today, China’s growing influence is obvious in African cities: from the huge Chinese embassy compound and Chinese-funded soccer stadium in downtown Maputo, Mozambique, to Chinese supermarkets in Ouagadougou, Burkina Faso. Thousands of Chinese workers live in Angola, reconstructing the country after its civil war (‘Angolan “mafia targets Chinese”’ 2009), by building roads, de-mining fields, upgrading ports and rehabilitating railways (‘China tightens grip’ 2009). Angola has become China’s largest African economic collaborator (Ash 2007), and with over US$100 Billion in annual trade, China is Africa’s second-biggest trading partner behind the United States (Simpson 2009). Council on Foreign Relations Africa specialist Princeton N. Lyman writes that, ‘China returns to Africa in the 21st century with not only a need for economic resources but with the cash to play the game dramatically and competitively’ (2005). But this is not a strategy of nefarious subversion, masked with altruism; China is striking the kind of equitable deals the West should have been making since the late 1800s. Chinese investments are spurring Africa’s highest-ever levels of economic growth. ‘The roads, bridges, and dams built by Chinese firms are low cost, good quality, and completed in a fraction of the time such projects usually take in Africa. China also contributes peacekeepers to UN missions across Africa’ (Hanson 2008). Western critics, like Brookes and Shin of the conservative American Heritage Foundation, have written that America and its allies, ‘are finding that their vision of a prosperous Africa governed by democracies that respect human rights and the rule of law and that embrace free markets is being challenged by the escalating Chinese influence in Africa’ (2006). Often central to criticism of Chinese deals is their support for the dictatorships in Sudan and Zimbabwe (‘Don’t worry about killing people’ 2009; Malone 2008). This is of great concern. Indeed, most recently China extended a multi-billion dollar oil and mineral deal to Captain Moussa Camara’s tyrannical regime in Guinea, in defiance of European Union sanctions (‘China tightens grip’ 2009). While supporters argue that these relations are part of ‘an evolving partnership based on principles of non-interference and neutrality’ (Tu 2008, p. 336), critics are correct that Chinese deals with despots can help defend their legitimacy in international fora and deflect pressure for political reforms (Brookes & Shin 2006). But these critics must also recognise that singling out China in these activities is hypocritical. ‘The United States is highly selective about who we’re moral about … We support Pakistan, Egypt, Saudi Arabia—huge human-rights violators—because we have other strategic interests’ (Hanson 2008). Critics highlight that China sells arms to African states. Yes, China now accounts for over 15 percent of arms transfers to the continent (Hanson 2008). But America continues to dominate the industry, contributing 50% of African arms imports, while the United Kingdom and France still account for 10% of sales (Adusei 2009). Overall, and in contrast to Western strategies, ‘military concerns have played a remarkably small part in China’s return to the continent as a major player’ (French 2006, p. 128). Criticisms of China’s economic strategies are also valid. Economic critics argue that Chinese officials choose which companies aid recipients must buy from, and anti-corruption crusaders complain that Chinese regulation is weak (LaFraniere & Grobler 2009). However, in 2008 United States Deputy Assistant Secretaries of State asserted that these charges are exaggerated, and that, ‘In reality, Chinese firms compete for profitable projects not only with … international firms, but also with each other’ (Hanson 2008). In addition, Africa’s culture of corruption has to a large degree been created through interaction with the West. Far from reducing corruption, some specialists argue that the liberalisation and governance measures imposed by donors only encouraged new forms of corruption (Szeftel 2000, p. 288). Because foreign capital dominated domestic economies, and limitations on bureaucracy restricted legitimate employment through the state, ‘Ruling elites learn[ed] that gate-keeping functions (trade licences, contracts, foreign exchange) bring huge rewards (far greater and with far fewer costs than legitimate business)’ (2000, p. 302). Western corporations in Africa also often undermine democracy and create conflict, rather than bolster Human Rights and transparent governance. Examples include: Shell’s operations in Nigeria, which led to pollution, population displacement, and the murder of activists in Ogoniland (‘Shell settle Nigeria deaths’ 2009); American companies in eastern Congo, who sponsored warring factions to secure access to minerals (Lobe 2003); and the Dutch firm Trafigura, which dumped toxic waste in Cote d’Ivoire and recently paid almost US$200 Million in compensation (‘Case profile: Trafigura’ 2009). While criticisms of Chinese actions in Africa are certainly valid, the portrayal of China as a bogeyman when compared to the West is far from reality. ‘Africa’s position on multilateralism, the elimination of trade barriers and farm subsidies, and increased aid and debt relief by the developed countries … grant duty-free access to Africa’s least developed countries, increase tourism, and encourage Chinese firms to invest in Africa.’ In the past five years China has been keeping these promises … (Anyu & Ifedi 2008, p. 98). Rwandan President Kagame, who is currently overseeing a bold national fibre-optic-internet project, recently praised China for its engagement and criticised the West’s obsession with aid (Blendford 2009), saying that China provides, ‘what Africa needs: investment and money for governments and companies’, … [while] European and American involvement ‘has not brought Africa forward’. ‘I would prefer the Western world to invest in Africa rather than handing out development aid’ (‘China praised’ 2009). China also recognises that there is more to Africa than oil and minerals. While India is celebrated by analysts as the mass-consumer market of the future, Africa duplicated Indian growth rates over the past decade, and has a comparable GDP per capita. Africa’s population will rival China’s within a few decades, and hundreds of millions of Africans will have buying power similar to the Western middle classes (Lee 2009). This is part of a global structural shift that will occur over coming decades. Emeritus Editor of United Press International, Martin Walker, argues that the Indian Ocean has an emerging trading network of goods and investment that has the potential to create a new global economic hub. Martin calls this region ‘CHIMEA’ — for China, India, the Middle East, and Africa — a nexus of energy supplies and financial resources, which have an interest in developing Africa as a centre of agriculture to supply Earth’s estimated future population of nine billion people (2008, pp. 21-22). CHIMEA’s economic activity could finally integrate Africa into the global economy as both producer and consumer (Walker 2008, p. 22). Meanwhile, the West is set to fade towards the periphery, hastened by what Robert Fisk identifies as secret moves by major states, ‘to end dollar dealings for oil, moving instead to a basket of currencies including the Japanese yen and Chinese Yuan, the Euro, gold, and a new, unified currency planned for nations in the Gulf Cooperation Council’ (2009, p. 8). How can the West compete effectively with China in Africa? Firstly, African governments can no longer just be dictated to — Western states and corporations must provide attractive deals that rival Chinese offers, and facilitate actual economic development rather than mere subsistence (Lyman 2005). Secondly, the nature of China’s challenge is not only economic and political, it is also social. From free Chinese language lessons in Liberia (Paye-Layleh 2009), to Chinese medicine and table tennis in the Central African Republic (Simpson 2009), and a slowly growing number of interracial marriages in Africa and China (Richburg 2009), cultural interactions between these regions have great potential for development. Chinese-run Confucius Institutes (cultural centres) are springing up throughout Africa (Malone 2008), while Chinese medical clinics have become so widespread that governments are developing new laws to regulate them (Gill & Reilly 2007, p. 41). China recently hosted a China–Africa Civil Society Dialogue in Beijing to increase ‘mutual understanding’ (April 2009), and 300,000 Chinese tourists visited Africa in 2007 (Tu 2008, p. 342). In addition, many thousands of ordinary Chinese see Africa as a world of opportunity where they can build new lives — with estimates that 750,000 Chinese have already settled in Africa over the past decade (Malone 2008). Usually the only westerners to think of Africa this way are mining executives, missionaries and mercenaries. China will win the hearts and minds of many Africans who learn about the richness of this non-Western culture, while benefiting from the social infrastructure they have built. While Africans have been saturated with images of Western society, many have long been denied the advantages of it: modern culture; material consumption; and personal freedoms. To compete culturally, the West must provide the benefits it has always promised. Adusei, L. A. 2009, ‘Small arms in Africa: Where does the buck stop?’, The African Executive, no. 204, 18-25 March [Online], Available: http://www.africanexecutive.com/modules/magazine/articles.php? article=4204&magazine=221 [2009, 10 December] ‘Angolan “mafia targets Chinese”’, 2009, BBC News Online, 14 November [Online], Available: http://news.bbc.co.uk/2/hi/africa/8358919.stm [2009, 10 December] Anyu, J. N. and Ifedi, J. P. A. 2008, ‘China’s ventures in Africa: Patterns, prospects, and implications for Africa’s development’, Mediterranean Quarterly, vol. 19, no. 4, Fall, pp. 91-110. [2009, 10 December] Brookes, P. and Shin, J. H. 2006, ‘China’s influence in Africa: Implications for the United States’, Backgrounder, No 1916, The Heritage Foundation, 22 February [Online], Available: http://www.heritage.org/Research/AsiaandthePacific/bg1916.cfm [2009, 10 December] ‘China praised for African links’, 2009, BBC News Online, 11 October [Online], Available: http://news.bbc.co.uk/2/hi/8301826.stm [2009, 10 December] ‘Case profile: Trafigura lawsuits (re Côte d’Ivoire)’, 2009, Business and Human Rights Resource Centre, 20 September [Online], Available: http://www.businesshumanrights.org/Categories/Lawlawsuits/ Lawsuitsregulatoryaction/LawsuitsSelectedcases/ TrafiguralawsuitsreCtedIvoire?&batch_start=21 [2009, 10 December] ‘China tightens grip on Africa with $4.4bn lifeline for Guinea junta’, 2009, The Times, 13 October [Online], Available: http://www.timesonline.co.uk/tol/news/world/africa/article6871943.ece [2009, 10 December] De Witte, L. 2002, The Assassination of Lumumba, Verso, London. ‘Don’t worry about killing people: By coddling Guinea’s dictator, China again mocks human rights in Africa’, 2009, The Economist, 15 October [Online], Available: http://www.economist.com/world/middleeastafrica/displaystory.cfm? story_id=14664647 [2009, 10 December] Dowden, R. 2005, ‘Aid “is not solution” for Africa’, BBC News Online, 24 June 2005[Online], Available: http://news.bbc.co.uk/2/hi/programmes/if/4105140.stm [2009, 10 December] Fisk, R. 2009, ‘The demise of the dollar’, Other Voices – A Supplement to the Washington Report on Middle East Affairs, December, p8. Gill, B. and Reilly, J. 2007, ‘The tenuous hold of China inc. in Africa’, The Washington Quarterly, vol. 30, no. 3, pp. 37–52. Goldsmith, A. A. 2001, ‘Donors, dictators and democrats in Africa’, Journal of Modern African Studies, vol. 39, no. 3, pp. 411–436. Hanson, S. 2008, ‘China, Africa, and oil’, Council on Foreign Relations, 6 June [Online], Available: http://www.cfr.org/publication/9557/ [2009, 10 December] Harsch, E. 1993, ‘Structural adjustment and Africa’s democracy movements’, Africa Today; vol. 40, no. 4, pp. 7-29. Harman, D. 2007, ‘Is Western aid making a difference in Africa? Two US economists debate the value of antipoverty efforts’, The Christian Science Monitor, 23 August [Online], Available: http://www.csmonitor.com/2007 /0823/p12s01-woaf.html [2009, 10 December] Jinyuan, G. 1984, ‘China and Africa: The development of relations over many centuries’, African Affairs, vol. 83, no. 331, pp. 241-250. Johnson, I. 2009, ‘New friction and vast agenda await Obama on China trip’, The Wall Street Journal, 9 November [Online], Available: http://online.wsj.com/article/ SB125755254797834853.html [2009, 10 December] Kraxberger, B. M. 2005, ‘The United States and Africa: Shifting geopolitics in an “age of terror”’, Africa Today; vol. 52, no. 1, pp. 46-68. LaFraniere, S. and Grobler, J. 2009, ‘China spreads aid in Africa, with a catch’, New York Times, 21 September [Online], Available: http://www.nytimes.com/2009/09/22/world/africa/22namibia.html [2009, 10 December] Lee, J. 2009, ‘China woos Africa — And not just for its resources’, TIME, 16 November [Online], Available: http://www.time.com/time/magazine /article/0,9171,1934868,00.html [2009, 10 December] Lobe, J. 2003, ‘Global businesses profit from Congo war, groups charge’, Common Dreams.org, 28 October [Online], Available: http://www.commondreams.org/headlines03/1028-07.htm [2009, 10 December] Lyman, P. N. 2005, ‘China’s rising role in Africa’, Council on Foreign Relations, 21 July [Online], Available: http://www.cfr.org/publication/8436/chinas_rising_role_in_africa.html [2009, 10 December] Malone, A. 2008, ‘How China’s taking over Africa, and why the West should be VERY worried’, Daily Mail, 18th July [Online], Available: http://www.dailymail.co.uk/news/worldnews/article-1036105/How-Chinas-taking-Africa-West-VERY-worried.html [2009, 10 December] Ohaegbulam, F. U. 1992, ‘The United States and Africa after the Cold War’, Africa Today; vol. 39, no. 4, pp20-34. Paye-Layleh, J. 2009, ‘Learn Chinese for free… in Liberia’, BBC News Online, 13 October [Online], Available: http://news.bbc.co.uk/2/hi/africa/8297557.stm [2009, 10 December] Richburg, K. B. 2009, ‘Racial rethinking as Obama visits’, The Washington Post, 15 November [Online], Available: http://www.washingtonpost.com/wp-dyn/content/article/2009/11/14/AR2009111401147.html [2009, 10 December] ‘Shell settle Nigeria deaths case’, 2009, BBC News Online, 9 June [Online], Available: http://news.bbc.co.uk/2/hi/africa/8090493.stm [2009, 10 December] Simpson, C. 2009, ‘China honoured in central Africa’, BBC News Online, 19 October [Online], Available: http://news.bbc.co.uk/2/hi/8313692.stm [2009, 10 December] Szeftel, M. 2000, ‘Between governance & under-development: Accumulation & Africa’s “catastrophic corruption”’, Review of African Political Economy, vol. 27, no. 84, pp. 287-306.
challenges’, China: An International Journal, vol. 6, no. 2, pp. 330 – 343.Van de Walle, N. 2009, ‘US policy towards Africa: The Bush legacy and the Obama administration’, African Affairs, 4 November, pp. 1–21. Walker, M. 2008, ‘Indian Ocean nexus’, The Wilson Quarterly, vol. 32, no. 2, pp. 21-28.